How old do you have to be to play paintball in NSW? The legal age limit to play paintball varies across all states and territories of Australia. It ranges from a minimum age of 10 years old in South Australia, to 18 years of age in Victoria. 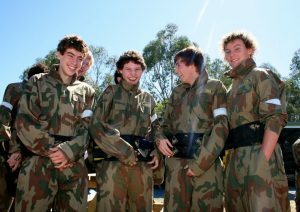 As for NSW the legal paintball age is 16 years old. 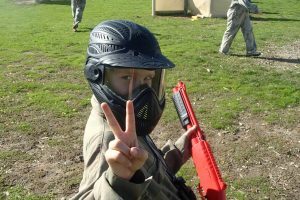 Many paintball operators have called for a standardised national minimum age of 12 years old, bringing our country in line with many others throughout Europe and the rest of the world. We are currently petitioning in NSW to reduce the legal paintballing age and are making solid progress. We have had talks with the Honourable Michael Daley (NSW Minister for Police) and the Honourable Jodie McKay (Minister for the Hunter) at Parliament House, and are continuing with our petition, which has received more than 2000 signatures! This minimum age reduction would be a great thing for the sport of paintball and for kids all around Australia. Paintball is a team sport that requires strategy, communication and teamwork in order to be victorious. Many companies and sporting clubs also use paintball as a team building exercise. We will update you on the success of the petition.